ROULETTE: Roulette, also known as Veronica Sinclair, is a wealthy socialite who secretly made money holding alien fight clubs for rich people to bet on but at the same time forced the aliens to fight for their freedom. Her illegal activities drew the attention of M'gann M'orzz, who became one of her best fighters. Her look is rather distinct as she is known for wearing a red dress and has a full body dragon tattoo. 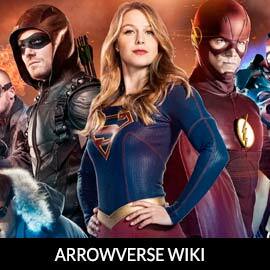 For more on Roulette, check our our partners at ArrowverseWiki.